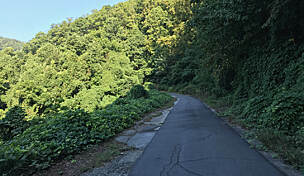 While the corridor that once belonged to the Southern Railway line is no longer active, its past is very much in evidence along the 8-mile Thermal Belt Rail-Trail (TBRT). Periodically along the route train tracks peak out from underneath the crushed stone surface. Even at the trail’s southern terminus in the town of Spindale, where a short section is paved, tracks are still in evidence, almost as if they will one day shake off their covering and resume rail service. Travel this now quiet former rail corridor, and enjoy a tranquil ride through small towns, fields, and gorges in the beautiful foothills of the Blue Ridge Mountains of western North Carolina. Our base for this itinerary is the town of Rutherfordton, located only about two miles from the southern trail terminus of the TBRT. In town, stay at the Carrier Houses B&B. These two historical Victorian-era properties are located in the center of town within walking distance to shops and restaurants and about one mile from the trail. Both properties are listed on the National Register of Historic Places, and each of the eight guest rooms feature a private bath, WiFi, and are named and tailored to a notable individual in the town’s history. Awaken each morning to a homemade breakfast and enjoy the comforts of the inn after a day exploring this beautiful region of the state. Bike rentals are not available along the TBRT or adjacent towns. The closest shop offering rentals is Sycamore Cycles, located about 45 minutes away in the town of Hendersonville. This full-service bike shop offers repair services as well as rentals of high-quality mountain bikes. Be sure to book in advance. 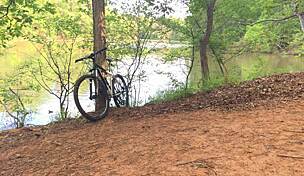 While this may seem far to travel to rent a bike for an 8-mile trail, the town of Hendersonville is close to a number of popular mountain bike routes. Combining a ride on one of these trails with the TBRT would be an ideal way to experience two different parts of this stunning area. Check out the shop’s website or visit in person for a list of both mountain and road bike routes in the area. The TBRT passes through several small towns, but trail adjacent businesses are limited to towns at the southern end of the trail, and the trail itself offers no amenities. 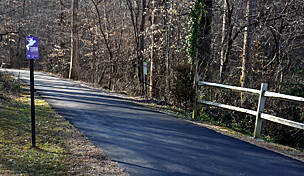 Less than 2 miles of the trail are paved, from downtown Spindale to Whitesdies Road. The remainder is crushed stone. Also note that there is a slight grade to the trail, with the downhill on the way north. This area can get quite windy, so keep this in mind for the return trip. While overall trail conditions are good, some sections can get rutted after storms, and there is little on-trail signage, so don’t bother looking for mile markers. 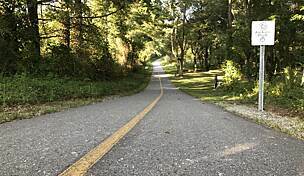 Outside of the paved section in Spindale, however, you will find biking the trail a very peaceful experience and will likely find yourself with very little company. To reach the trail from the inn, head north on Main Street and take the second right on to Green Street. Follow Green Street to its end. Cross over Route 72 and find the trail entrance. Head south towards Spindale, which is only 2.5 miles away. 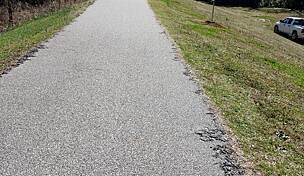 The crushed stone trail becomes paved 1.8 miles before the trail’s end. As you approach the town, ride alongside Main Street, which offers several restaurants and shops. If you prefer to drive to a trailhead, and want to start at an endpoint, the southern trail terminus in Spindle is less than a 3-mile drive from the inn. To reach it, head south on Main Street and turn left on Charlotte Road/Alt. Route 221. 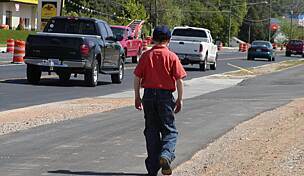 In Spindale, look for the trailhead where Main Street and Oakland Road intersect. The trailhead will be on your right. There is no lot here, but parking is available along the street. In Spindale, stop for some of the best donuts in the area at Granny’s Bakery and Subs. To reach, turn left as you are heading north on the trail at the intersection with N. Oak Street. Travel one block north on Main Street and take the first left onto Ohio, and find the shop on your right. Granny's is only open Wed.-Sat., so if you need a sugary break on another day of the week, try the Spinning Bean Cafe located at 107 Main, about a block south of Granny’s. There are numerous other little restaurants and cafes in town as well if you are looking for a more substantial meal. 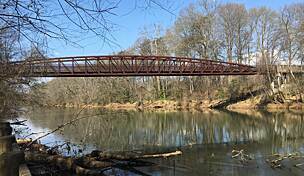 Heading north on the trail, retrace your route and pass back through Rutherfordton. Some of the trail offers a shady canopy, providing a respite from intense summer sun, but not all of the route is covered. Be sure to set out with full water bottles and refill when the opportunity presents itself. Eight miles from the trailhead in Spindale the trail ends at the intersection with Oak Springs Road in Gilkey. There are no amenities at the trailhead, but 2.7 miles south, heading towards Rutherfordton, find Gilroy’s General Store. This neighborhood grocery store also sells a limited selection of homemade daily food specials such as a barbecue plate and grilled chicken sandwiches. Stop to enjoy a hearty lunch and relax your legs. To reach, as you are heading south, turn right on Broyhill Road. After 2.5 miles, take the first right onto US-221 N. Look for the store on your left. As you bike along, enjoy the tranquility of the TBRT and savor the views of rolling farmland and tree-lined passages. In the fall, the trail becomes a visual delight with a cacophony of colors both overhead and lining the route. The trail, however, is not scenic for its entire length. Views also include the loading dock of an industrial area and the back of new housing developments. Throughout the way though, railway enthusiasts will enjoy the presence of the rail tracks as well as old railway markers and railroad crossing signs, reminding you of the corridor’s former life. This is a peaceful corner of the state and the TBRT exposes trail users to the past, present, and a glimpse in to the future of the region. For dinner, both Rutherfordton and Spindle offer several casual dining options. Within walking distance of the Carrier Houses, try Mi Pueblito. Serving fresh Mexican influenced dishes, from fajitas, tacos, nachos, and tortas, this regional chain has all your favorites. Enjoy a festive atmosphere, delicious food, and fun drinks. To satisfy a seafood, steak, or barbecue craving, look no further than Scoggins Seafood and Steakhouse. Serving the community since 1959, this restaurant is a local institution and offers a wide variety of dishes. In nearby Spindale, step back in time at the 75-year-old Shake Shop. Located on Main Street, this unassuming spot serves classic burgers, fries, and tasty shakes that have been bringing locals back again and again. Also in town, try Fat Tracy’s Smokehouse for delicious barbecue and a rotating menu of smoked meats. 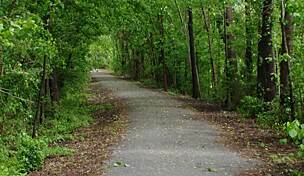 In addition to the rail-trail, the area is rich in outdoor adventure. Explore more than 6,200 acres of Chimney Rock State Park. Located about a half hour away, the park contains numerous hiking trails, stunning views, Devil’s Head balancing rock, the more than 400-foot Hickory Nut Falls waterfall, and most notably, a 315-foot granite monolith that has given the park its name. Spend a day hiking and immersing yourself in the beauty this state park has to offer. Enjoy time on the water fishing, swimming, or boating at nearby Lake Lure. Surrounded by hills and dotted with cabins, this is one of the most popular, and scenic, lakes in the region. Located near Chimney Rock, it is easy to reach the area for a day trip, and offers numerous opportunities to explore the pristine waters, mountain bike or horseback ride on local trails, or attend one of the many festivals. In addition to outdoor exploration, the area has many charming shops and restaurants to explore. Visit the welcome center on your way in to town for maps and advice on the best way to make the most of your time in town. Go horseback riding at Riverside Riding Stables, in Rutherfordton. Set off on an hour-long trail ride or a two-hour-long river ride to explore the nearby countryside. A fun adventure that will immerse you in the beauty of the area in a slightly different way than biking the TBRT allows, both adventures are suitable for either novices or more experienced riders. Passing through Rutherfordton is the 330-mile-long Overmountain Victory National Historic Trail. 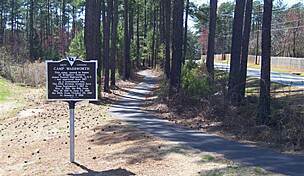 Operated under the U.S. National Trails System, the trail traces the route traveled by patriot militia during the 1780 Battle of Kings Mountain in South Carolina. 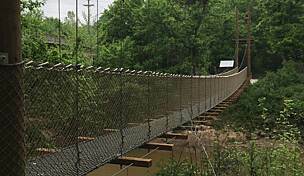 The trail passes through towns in Virginia, Tennessee, and North and South Carolina. 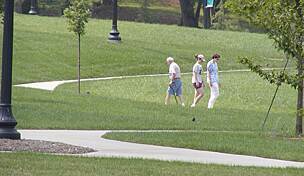 It includes sections of walkable pathway, a motor route, affiliated historical sites and museums, and wayside exhibits. 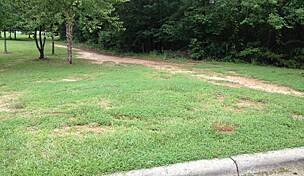 In addition to Rutherfordton, there are several other significant sites nearby. About an hour northwest lies the vibrant town of Asheville. Wander the numerous shops, galleries, and attractions in town; experience the beauty of the Blue Ridge Parkway; explore the rivers, trails, and waterfalls in the nearby mountains; and tour the iconic Biltmore Estate, built by George Vanderbilt and considered to be America’s largest home.